Emmanuel Macron came to France’s ginormous startup campus Station F to talk to the French tech community. The event is organized by La French Tech, the government initiative to promote and foster the startup community in France. Station F director Roxanne Varza first took the stage to introduce the event. She announced that there will be more startups in the Fighters Program. Station F has created this program so that entrepreneurs from diverse backgrounds get a chance to relocate to Station F.
La French Tech new director Kat Borlongan then talked for a few minutes about the public initiative. “My firm belief is that La French Tech should operate just like all the startups in this room today,” she said. According to her, it means that La French Tech should think about its users first, have a data-driven approach, and test and iterate. Emmanuel Macron gave a very short speech and then held a Q&A sessions with tech entrepreneurs. This is a surprising format for Macron. He mostly reassured entrepreneurs that things are changing and France is on the right path. He announced that the French Tech Visa would be simplified by March 2019. He also promised stronger antitrust rules at the European level. Tech giants sometimes dominate in Europe living no room for competition. Macron finished by saying that tech companies also need to promote France’s system. They need to pay fair taxes, they need to think about tech’s effect on society. “I know one thing, the system will implode if you’re not responsible enough,” he said. Things have changed in just over a year. 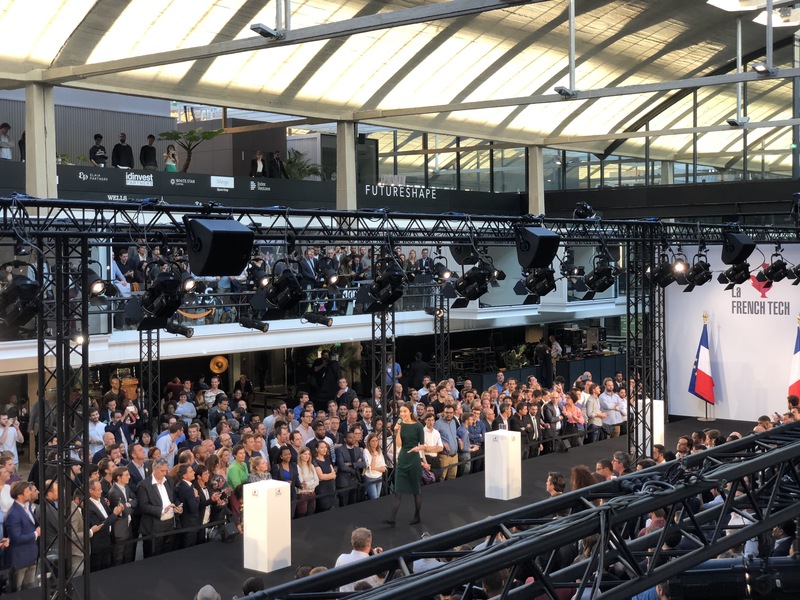 When Macron first came to Station F for its grand opening, it was shortly after the elections. He was a popular President. Now, most people dislike him, just like his predecessors François Hollande and Nicolas Sarkozy when they were in office. According to a source, he even thought about canceling today’s event given that he’s about to appoint some new faces in his government. But Macron built his reputation on the so-called startup nation. He first became a public figure thanks to a grassroots approach built on top of the startup community. That’s why the startup community is still overwhelmingly in favor of Macron’s policies. And yet, there’s now a clear divide between the startup nation and the middle class at large, who think the President is out of touch and doesn’t care about them.